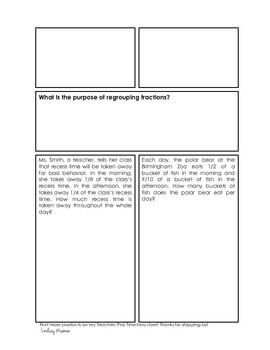 Use this versatile, graphic handout to guide students through adding and subtracting fractions. The top two boxes are empty, to allow you to input your own differentiated problems depending on the needs of your students. The bottom boxes contain word problems and work space to organize and support student work.